The rising growth of organic food combined with a struggling economy and a “back to basics” mind set has led to a rapid increase in the number of vegetable gardens planted in urban areas. Whether it’s the neighborhood pea patch, a renter’s deck, or your own backyard, gardening has plenty of benefits. There is one special caveat. Urban agriculture runs a higher risk of soil contamination. 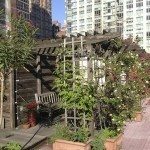 This article discusses urban gardening in bad soil and managing contaminated soil in city gardens. Read on to learn more about urban soil contamination. So why might urban gardening occur in bad soil? Urban gardens are often located in areas that were formerly industrial or heavily trafficked roads. 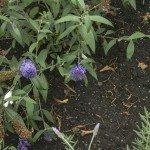 There may have been a gas station, factory or past chemical spill in your little Eden – with any number of chemicals left lingering in your garden plot. A lack of knowledge about how the property was used in the past makes the potential for a contaminated garden more of a reality. Many older neighborhoods have century old homes that layered in lead-based paint, which leached into the surrounding soil. Older timber plot dividers that seemed like a good idea might be pressure treated with chemicals. These are just two examples of urban soil characteristics that may be lingering in your backyard. So what can you do if you suspect you are urban gardening in bad or contaminated soil? Managing contaminated soil in city gardens means investigating the site history and testing the soil. Talk to the neighbors if they are long-term residents. Look into historical land use through Sanborn Maps, which includes building information as far back as 1867 for over 12,000 towns and cities. You may also want to contact the EPA, the local historical society or even the library for information on your site. You will also want to conduct a soil test. This is a simple procedure whereby you gather soil samples and mail them back to the test provider for analysis. You should collect soil samples from various places on the lot since contaminant levels can vary from area to area. Once you get the results back, consult screening levels set by the United States Environmental Agency. Keep in mind that soil testing labs usually only test for urban soil characteristics such as lead and other common contaminants. This is why investigating the site history is so important. Even if you do not know what is in your soil, there are some precautionary steps you can take to minimize contact with any contaminants that may be present. First of all, always wear gloves and wash your hands after working in the garden. Don’t track dirt in from the garden plot. Wash all produce thoroughly prior to eating or storing. Peel root crops and remove the outer leaves of greens. If you live near a road or railway, situate your plot away from them and build a hedge or fence to minimize windblown contamination. Cover your existing soil with mulch to reduce dust and soil splash, reduce weeds, improve soil structure and retain soil temp and moisture. Be sure to use topsoil or clean fill from certified soil sources recommended by the local extension office or nursery. Use raised beds made from concrete blocks, bricks or rot resistant woods such as cedar and redwood. Raised beds are by far the safest option if you have contaminated soil; however, they aren’t fool proof. The surrounding contaminated soil can be kicked up by people or wind and inhaled or even ingested accidentally, especially if you have children. Depending on the depth of the raised bed, roots may extend into the contaminated soil below, so use a water permeable fabric or geotextile on the bottom of the bed before filling it with clean, uncontaminated soil.